The Freaky love this weird video of detached frogs legs dancing. 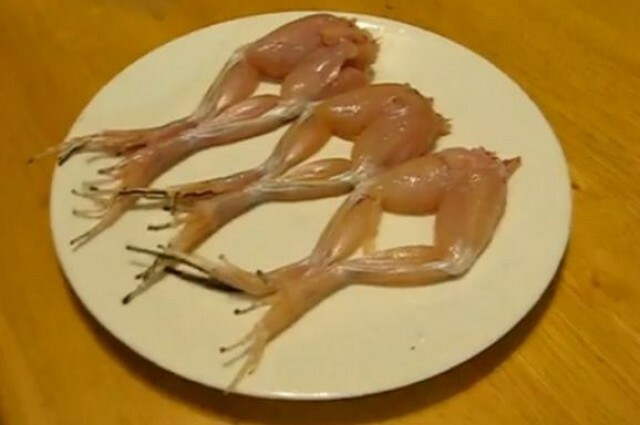 It’s not a camera trick it’s a quirk of nature – even when a frog’s legs have been dismembered they will twitch when salt is added to them. This is because the legs still contain some living cells and can respond to the sodium ions, which act in a similar way to signals from the frog’s brain. The energy remaining in the cells reacts to the signal and the muscles in the legs contract.